Three people have been arrested after police carried out four raids in Billesley in response to community concerns. Raids were carried out on Effingham Road, Yardley Wood Road, Vimy Road and Kimpton Close. A 19-year-old man from Vimy Road has appeared at court today (27/11) who was wanted on warrant for failing to attend court for possession of a controlled drug. 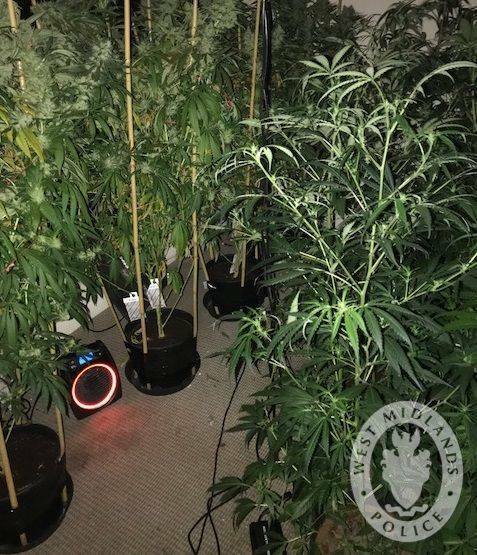 A man, aged 23, and a 24-year-old woman were arrested in Effingham Road on suspicion of cannabis cultivation after a cannabis set-up was found at the property. The man has been released under investigation and the woman released without charge. Sergeant James Ashcroft said: “We would like to thank the community for the information to allow us to focus activity on those who are the perceived to cause the most harm. “Our message to people who seek to cause harm to our communities is clear – you will become the focus of our efforts and can expect a knock at the door.